We are instrumental in offering our clients a high-quality range of Hydraulic Flange Spreader. Constructed with precision under the strict vigil of technical experts, this range is ideal for leak gasket replacement purposes. This is done by spreading the pipe flanges safely in the pipe line. Being light in weight, these spreaders are handy to use and are thus, used by all and sundry. Light weight, handy and versatile in use. Only 3 to 6mm minimum gap required to initiate the operation. We bring forth for our clients a comprehensive range of Hydraulic Nut Splitters that finds application in a wide gamut of industries. Popularly used for cracking frozen & corroded nut on the flanges, these splitters are considered to be a high utility tool. 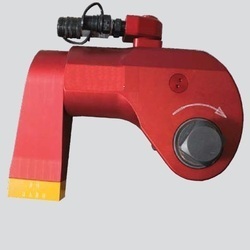 These are designed in a manner such that these do not damage the bolt & stud during operations. Ideally suited for explosive atmosphere also, this range has a high demand in the domestic as well as international markets. 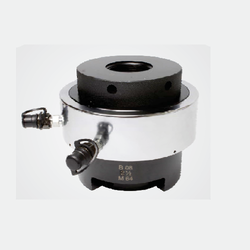 With a precise understanding of this relevant industry, we are counted as one of the top most firms of Hydraulic Torque Wrench.This product is suitable for all need of loosening & tightening of nut-bolts. Offered product fulfils the need of offshore drill platform, crane industries or gas pipeline projects & available in numerous stipulations as per the needs of patrons. We are giving this product to patrons at a reasonable price within a given time frame. Ultra Slim & light weight design. 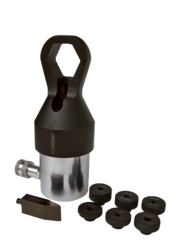 Looking for Bolting Tools ?